Senate passes Buhari’s anti-corruption bill – Royal Times of Nigeria. 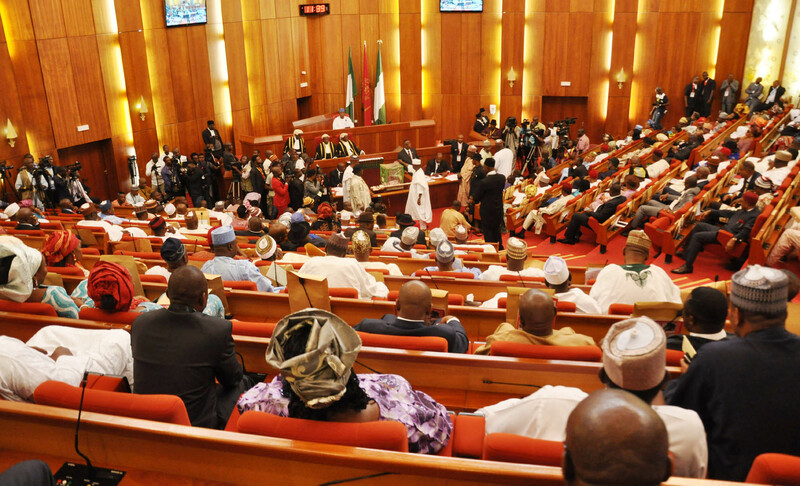 The Nigerian Senate has passed an executive bill proposed to enlist international assistance in the country’s efforts to tackle criminal matters, including money laundering, asset acquisition from proceeds of corruption and other forms of illicit financial flows. The proposed law titled ‘Mutual Legal Assistance in Criminal Matters Between Nigeria and Other Foreign Countries, SB 224, 2017’, was read for the third time and subsequently passed by the Senate on Tuesday. The passage followed the presentation of the joint report on the bill by the Senate committees on foreign affairs, chaired by Monsurat Sunmonu (APC-Oyo); judiciary, human rights and legal matters, chaired by David Umaru (APC-Niger) and anti-corruption, chaired by Chukwuma Utazi, PDP-Enugu. The bill – and another one on Money Laundering Prevention and Prohibition – was sent to the Senate by President Muhammadu Buhari on January 27, 2016, before it was finally passed by the lawmakers on Tuesday. The bill seeks to get relevant international assistance in cases of money laundering and provide framework for “other countries to assist in provision of and obtaining of evidence, making of arrangements for persons to give evidence”. “The bill also hopes to elicit international assistance in criminal investigations, recovery, forfeiture or confiscation of property in respect of offences. “The restraining of dealings in property or the freezing of asset that may be recovered, forfeited or confiscated in respect of offences. “The execution of request for search and seizure, the location and identification of witnesses and suspects,” Mr. Buhari wrote to the Senate in January 2016. There is no report yet on the second one, Money Laundering Prevention and Prohibition Bill, sent same day as the one on mutual legal assistance. With the approval of the bill by the Senate, a similar approval by the House of Representatives is required before a joint approval by the National Assembly following which the bill will be sent to the president for assent.